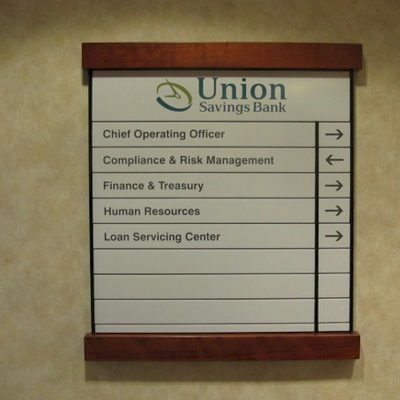 Cable & Rod Systems provide a sleek, minimalist design for displaying signs, posters, creating directories and more. 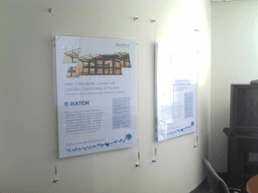 Cable & Rod systems can be made with stock or custom poster pockets. 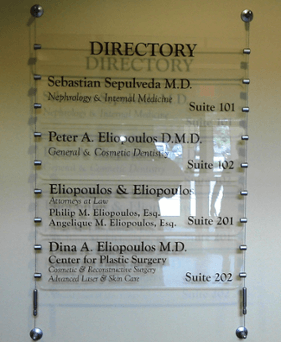 Custom systems for creating directories can be fabricated. These are easy to update, attractive systems. 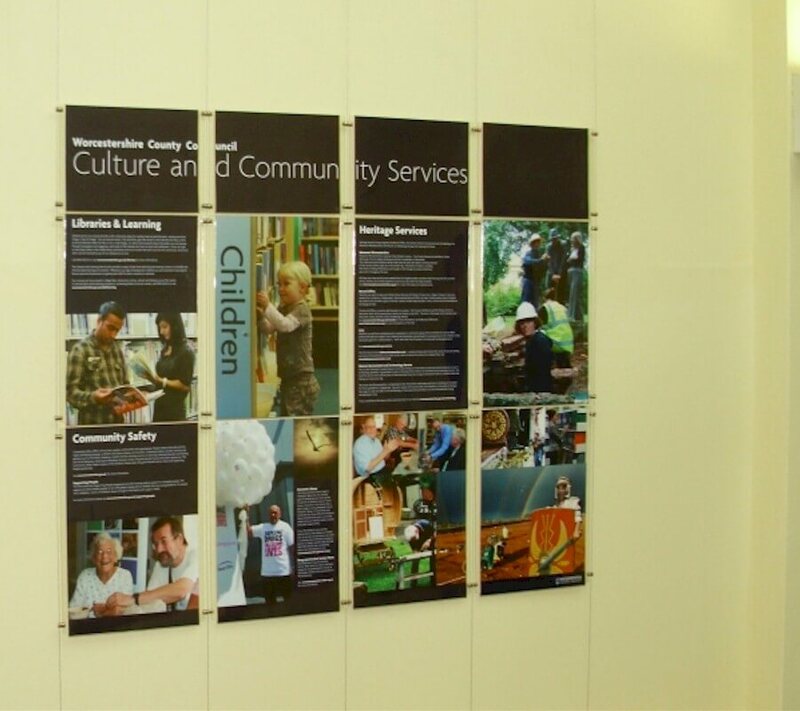 Great for History Walls, Museum Displays, Donor Plaques and more. 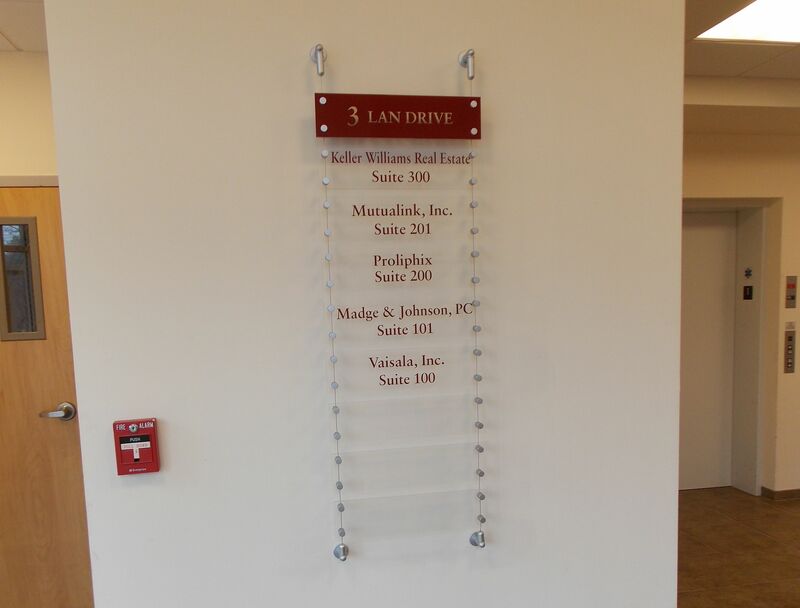 Available in Wall to Wall, Wall to Floor configurations. Choose cable or rod depending on your project and the look you wish to obtain. 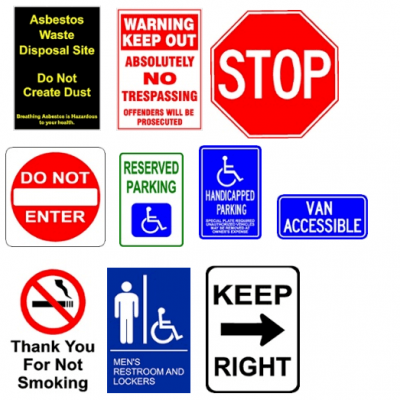 A variety of sign supports are available allowing for greater creativity. Call today and we will be happy to help you design a cable & rod sign system for your project. Available in 1.5, 2 and 3 mm cable or 3, 6 and 10 mm rod. Stainless Cable and Rod also available. Brass finish rod also available. 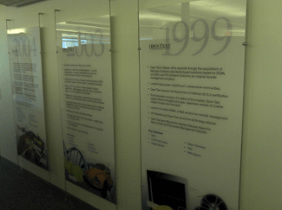 Add your own poster, vinyl graphics, full color graphics and more.